THE Trial of the Facts process is a little-known legal process which can only be used if a court determines that a defendant is unfit to stand trial because of serious ill health. 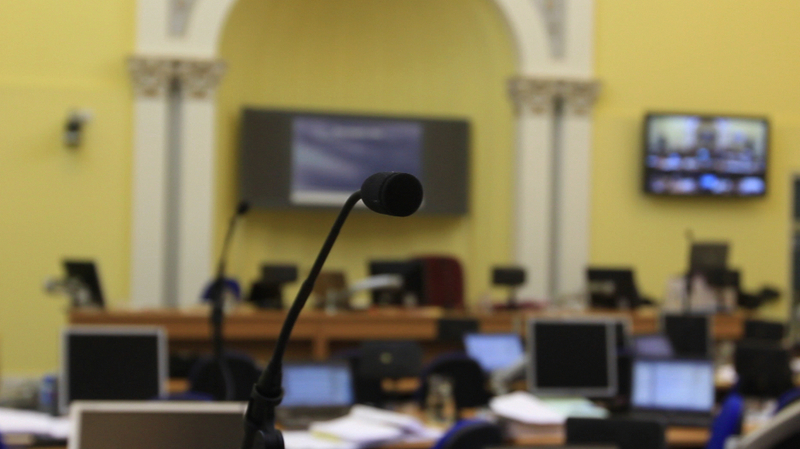 The process is allowed for under Article 49A of the Mental Health (Northern Ireland) Order 1986 and involves a public hearing to determine whether an accused committed the alleged offences. However, unlike a normal criminal trial, a jury cannot find a defendant guilty of any offence during a Trial of the Facts process, as the accused has already been judged unfit to stand trial. Even if an accused is found to have been responsible for a serious offence, including murder, they cannot be sent to prison. WHAT HAPPENS DURING A TRIAL OF THE FACTS? The prosecution sets out its evidence against the defendant before a judge and jury. The hearing takes place in a courtroom in the same way as a normal criminal trial. However, the accused does not play a part in proceedings or even have to be present in court. While witnesses can be called to give evidence, the defendants cannot be called to give evidence on their own behalf. The accused’s lawyers can question witnesses, challenge the evidence and make legal submissions. In a normal criminal trial, a jury is required to find whether or not an accused has the mental capacity required to be guilty of an offence but in a Trial of the Facts hearing a jury is only required to decide whether or not the defendant committed the offence. The accused can’t be convicted but they can be acquitted. CAN ACCUSED BLOCK A HEARING? A defendant’s consent is not required for the prosecution to proceed with a Trial of the Facts case. However, the defence can try to have the case stopped on the basis that proceeding would amount to an abuse of process. In recent years the process has been used in a number of high profile cases against politicians in the UK. The legal process caused controversy in 2016 when it was argued that a Trial of the Facts hearing could go ahead - even though a defendant had already died. In April 2016 a Trial of the Facts hearing was due to be held in the case against former Labour peer Lord Greville Janner, who had been accused of multiple counts of child abuse. Even though Lord Greville had died in December 2015, the Crown Prosecution Service (CPS) still considered that the legal process could continue in order that the facts of the case could be tested in a public hearing. However, the CPS eventually decided that the case would not proceed. In 2012 the Trial of the Facts process was used to determine if former Labour MP Margaret Moran had committed £53,000 expenses fraud. Ms Moran had been judged to be unfit to face a normal criminal trial as she was suffering from a ‘severe depressive disorder’. After a jury found that she had committed the expenses fraud she was placed under a supervision order for two years. "There will inevitably be feelings among some that Mrs Moran has got away with it. "What the court has done and has to do is to act in accordance with the law of the land and on the basis of the evidence that it hears. A jury at Belfast Crown Court is currently being asked to 'determine the facts' and reach a verdict on whether north Belfast man Samuel Francis Morrison (55) was involved in the death of his nephew George Morrison. The 29 year-old was stabbed to death in an alleyway in the Antrim Road area of the city in the early hours of July 6 2009. The accused, from Forthriver Park in Belfast, was initially charged with murder but it has since been determined he has a disability and has been deemed unfit and therefore unable to plead to the charge or participate in proceedings. WHAT HAPPENS IF DEFENDANT COMMITTED THE ACT? If an accused is found to have committed an offence they cannot be convicted. Instead a judge has the option of imposing a number of treatment orders. There are a number of different medical orders available to a judge instead of sentencing. These are mainly designed to protect the public in circumstances where it is determined that the accused is a danger to society. A defendant can be committed to a secure hospital unit; subject to a guardianship order or subject to a supervision and treatment order. If none of these orders are suitable, the defendant is given an absolute discharge, meaning that the accused committed the offence but no suitable punishment or order is applicable. Click here to return to main article. Is a little known legal process set to play a key role in legacy cases?